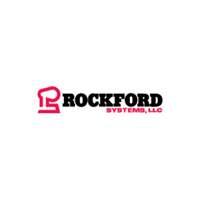 Rockford Systems delivers trusted machine safeguarding solutions for organizations working with industrial machinery. As a trusted adviser since 1971, Rockford Systems helps organizations interpret and apply complex OSHA regulations and ANSI machine safety standards for a broad array of industrial applications. In addition, Rockford Systems provides complete Turnkey Machine Safeguarding Management Solutions, including machine safeguarding assessments, machine risk assessments, customized build-to-spec integration, over 10,000 safeguarding products, expert installation services, training and technical support, and ongoing compliance validation. Rockford Systems has improved the profitability of many of North America’s largest companies by increasing compliance, reducing worker risk, enhancing productivity and decreasing costs.